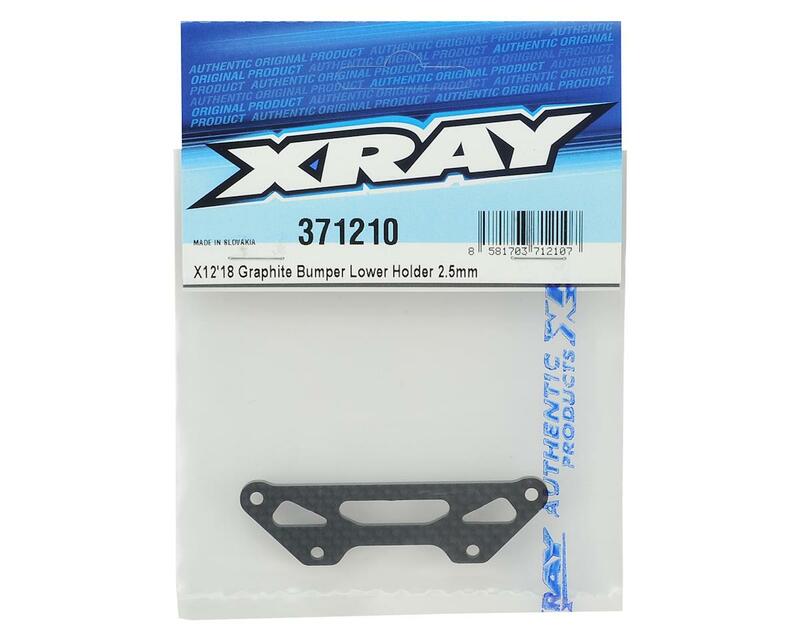 XRAY X12 2.5mm Graphite Bumper Lower Holder. 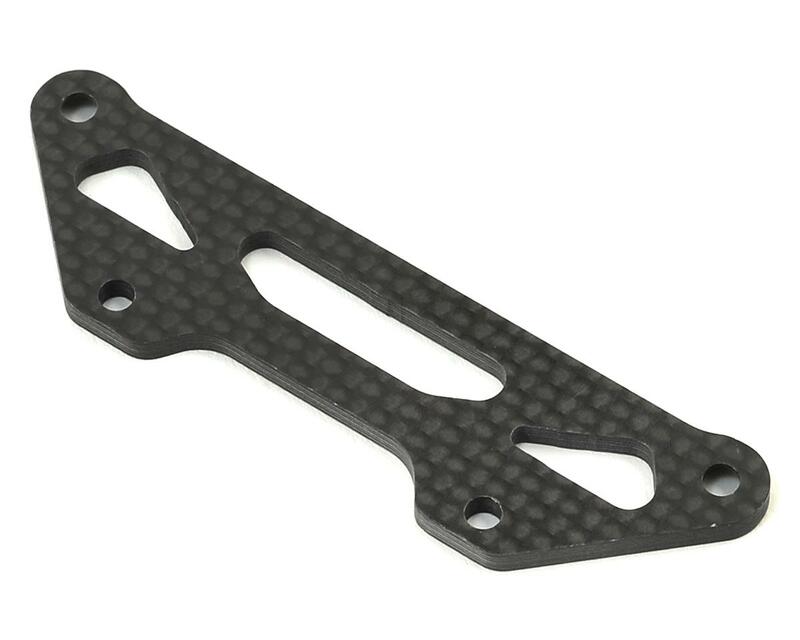 CNC-machined graphite bumper holder is designed to fit the new shorter chassis. It keeps the front body posts at the same position as previous versions but rather atop the chassis so it does not touch the racing surface. This improves steering and prevents front scrubbing. Machined from premium 2.5mm graphite, the holder is rigid enough to withstand serious crashes.